Matt Evans is our Head Professional and he has been at the Club since 2015 having qualified as a professional in 2005. He retains an undimmed passion for golf. The shop is well stocked with a large selection of leading brands, including golf clubs, apparel, shoes, balls and accessories and if you don’t see it here, as a member of the Foremost buying group, Matt can source it! Matt is fully qualified to undertake custom fitting of clubs to ensure golfers have the right clubs best suited to their physique and abilities. 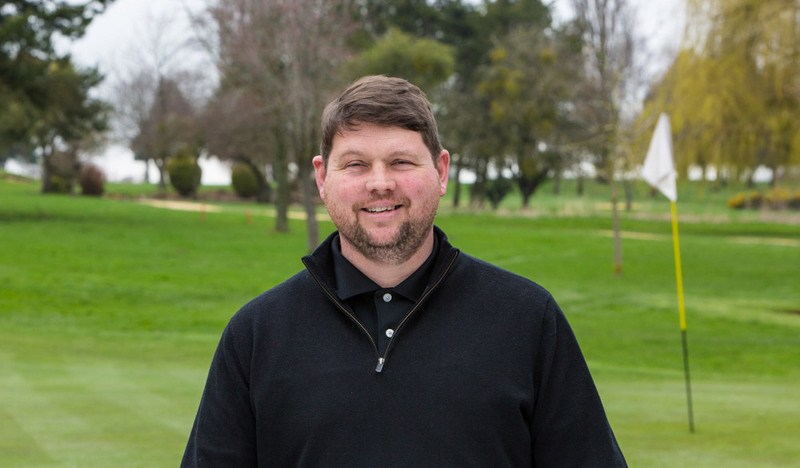 Coaching is a particular passion for Matt and his teaching methods, including use of state of the art flightscope equipment, have allowed many to fulfil their potential in the game. Beginners working their way through the “Get into Golf” programmes and into academy membership or experienced golfers seeking to improve all receive equal focus. Coaching is available for individuals, couples and groups with a number of lesson options. Contact Matt for more information on 01242 525201 or 01242 526785 Option 2 or call in to discuss your needs. SPECIAL INTRODUCTORY OFFER - GET THE SECOND HOUR BOOKED FOR HALF PRICE! A Gift that will stand out from the rest and deliver bundles of joy? We are one of Cotswold's finest golf courses yet we’re also one of the most welcoming. Visitors are most welcome to enter our Open Competitions. As a Members Club we provide a supportive, inclusive and welcoming environment with both social and competitive golfing events. Our mature parkland course with many specimen trees and panoramic views of Cheltenham provides a superb golfing experience for all levels of golfer. Be assured of a warm welcome, a true test of golf and good food.